Pain reliever, fever reducer. Tablet contains ibuprofen 200mg. Industrial pack. 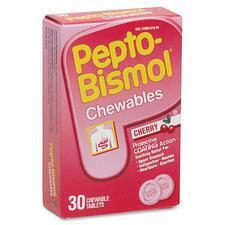 Antacid Tablets - 100 ct. Active ingredient: Calcium Carbonate 420mg. Antacid Tablets - 250 ct.
Medi-First Sinus Decongestant Tablets - 250 ct.
Easy to swallow film coated tablets. ProStat Aspirin Tablets - 100 ct. Pain reliever/Fever reducer. (NSAID) Easy to swallow film coated tablets. ProStat Aspirin Tablets - 250 ct. Pain reliever/Fever reducer. Aspirin 325mg (NSAID). Easy to swallow film coated tablets. ProStat Extra Strength Pain Relief - 100 ct.
Acetaminophen 110mg, Aspirin 162mg (NSAID), Salicylamide 152mg (NSAID), and caffeine 32.4mg formula. Easy to swallow film coated tablets. ProStat Ibuprofen Tablets - 100 ct. Pain reliever/Fever reducer. Ibuprofen 200mg (NSAID) Easy to swallow film coated tablets. ProStat Ibuprofen Tablets - 250 ct.
ProStat Non-Aspirin Tablets - 100 ct.
ProStat Non-Aspirin Tablets - 250 ct.